The main feature that matters when choosing a distro for gaming is support for drivers. Most distros support the latest (and even oldest) hardware out of the box. Even if they don’t, you can still manually find and install the driver yourself on any distro. If you’re really unsure, you can just google some info for your hardware and see if the distro supports it out of the box. Second most important feature is update frequency. 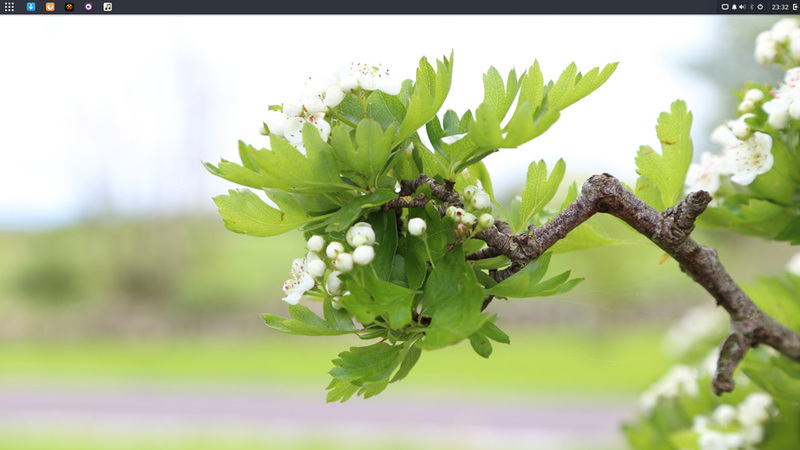 Is it a rolling release distro like Manjaro (very frequent updates without a schedule, always the latest software)? Or is it a point release distro like Ubuntu (scheduled updates, not always the latest software). If you prefer to always use the latest versions of any software and apps, go with a rolling release distro. That way, you’ll always get the latest driver updates and you’ll most likely already have the latest drivers for your new GPU/CPU. If you’d like to stick with what you know and use a more stable OS, go with a point release distro. Previous Linux experience should also be a deciding factor. Have you used a Linux VPS before? Which distro did you use for your server? If it was Ubuntu, then you should choose the desktop version of Ubuntu since you’ll be more familiar with it. If you’ve used CentOS for your server, go with a Fedora-based distro for gaming. Did you use an LXDE distro? Go with a gaming distro that uses LXDE. Now, let’s move on to the main part. There’s a reason why SteamOS is always the first on every Linux gaming distro list. It’s designed with gaming in mind. It comes pre-installed with Steam and it’s based on Debian. 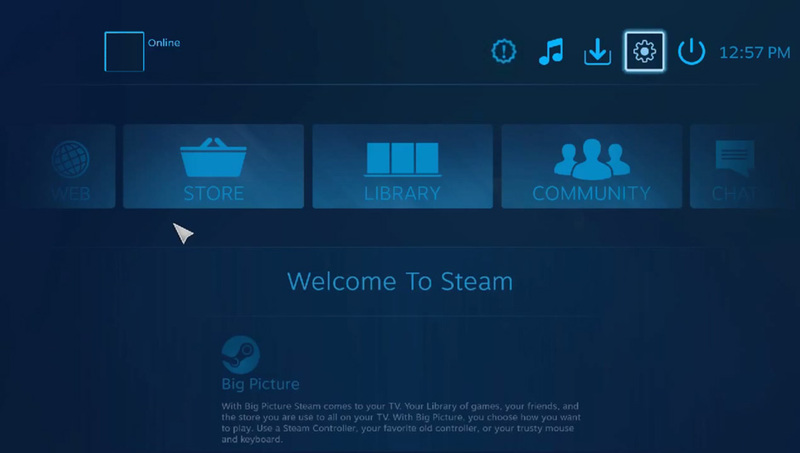 SteamOS is built, designed and maintained by Valve. By default, SteamOS only has Steam installed, but you can activate the “desktop mode” and you’ll get a fully-featured desktop OS where you can run other applications besides Steam and games. It has everything set up out of the box, so you don’t need to install or configure anything to play on Steam, which is why this is the most recommended distro for beginners and Linux gamers. Linux and Steam for gamers. It’s not the default Ubuntu, but it’s a distro based on Ubuntu. You can still use the default Ubuntu and install Play on Linux, Wine and Steam or any other game you’d want to, but it would not be as optimized for gaming as Ubuntu GamePack is. VGA capable of 1024×768 screen resolution. Intel HD graphics/AMD Radeon 8500 for Steam games and any other GPU for other games. If you’re already familiar with Ubuntu, go with this distro. Fedora – Games Spin has thousands of games already pre-installed and ready to play. It doesn’t support as much hardware as some other distros, and it doesn’t come with Wine/Steam pre-installed, which is why this is not recommended for anyone. However, if you’re already familiar with Fedora or if you like the XFCE desktop environment, this distro would be perfect for you. Intel HD graphics/AMD Radeon 8500 for Steam games and any other GPU for other games. If you’ve used Fedora (or CentOS) before, either for a server or for your desktop computer, try this Fedora spin. 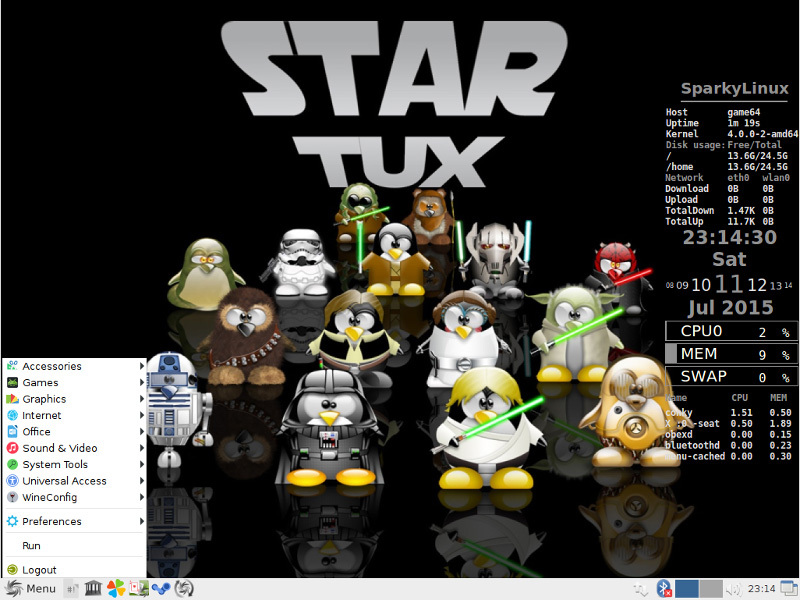 SparkyLinux is a Linux distribution created on the “testing” branch of Debian. It uses the LXDE desktop environment and it has everything you’d need already pre-installed. So just about any old PC/laptop can run it without any issues. Has everything you’d need pre-installed out of the box. Wine, Play On Linux, Steam etc. If you’ve used an LXDE Linux distro before and you want everything pre-installed, go with SparkyLinux – GameOver Edition. Although it’s based on Linux (kernel), it doesn’t have any desktop environment and you can’t really use it for anything other than turning a computer into a retro gaming console. You can turn any computer into a console since Lakka doesn’t have a lot of requirements. You can even use a Raspberry Pi to run Lakka. It’s a very lightweight OS that can run on just about anything. Game Drift Linux is no longer being maintained. Though you can still use it, we wouldn’t recommend using it. We’ll leave their spot here for archive purposes, but there are other actively maintained alternatives if you’re looking for a gaming distro. Want to play Windows games on a Linux distro without too many configurations? Based on Ubuntu, this distro would be perfect for beginners that previously used Ubuntu. Easy to install and everything works out of the box. Although not the most lightweight Linux distro for gaming, it doesn’t require much. At least not as much as SteamOS. If you can run Ubuntu desktop, you can run Game Drift Linux. You can play A LOT of Windows games on Game Drift Linux. It has all the tools you need pre-installed. The game store is great – a wide choice of quality games that you can install with a single click. 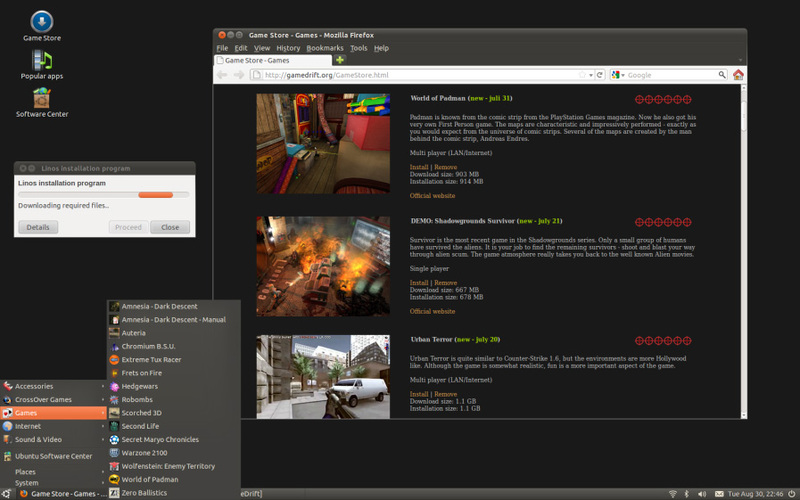 Need a full-featured Linux distro for gaming, media, browsing and general use? Recently this year, Solus became a rolling release distro, which means that you’ll get the latest software with all the latest updates. Solus looks great, especially with the Budgie desktop environment. It has all the features you need for an OS for gaming/media playback/browsing/general use. There’s an official Steam integration for Solus which will greatly help you with installing and configuring steam on your Linux system. It’s based on the Linux kernel, but it’s independent of any other distro like Ubuntu or Fedora. Requires a more powerful machine. Everything built into one modern system. 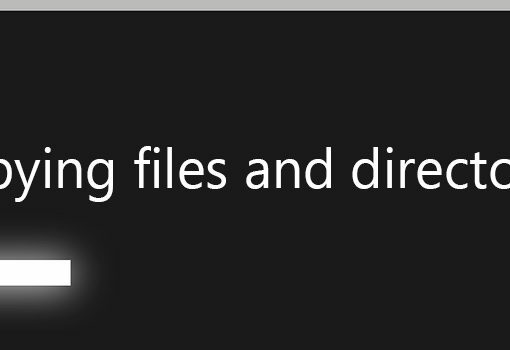 Rolling release – you’ll get the latest updates and latest software all the time. Solus looks great. 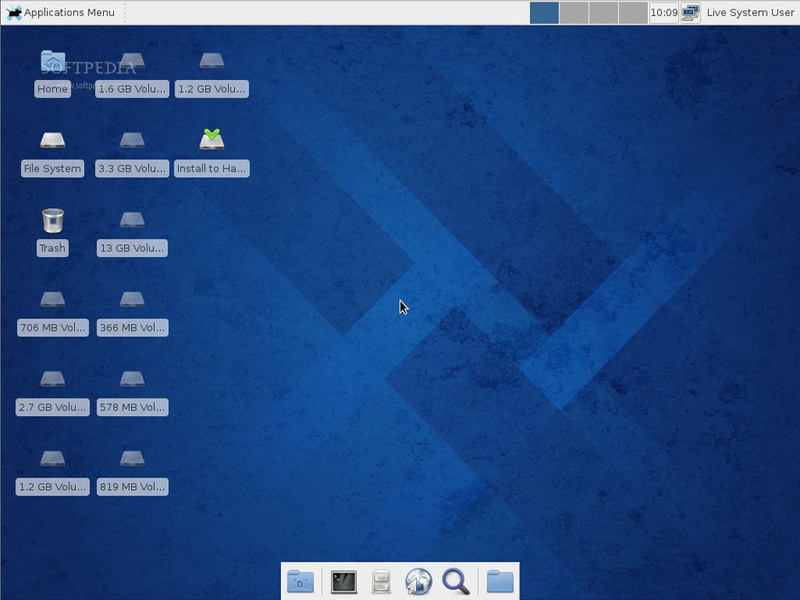 One of the best looking Linux distros out there today, especially with its flagship desktop environment Budgie. Want to use the Manjaro (rolling release) distro? 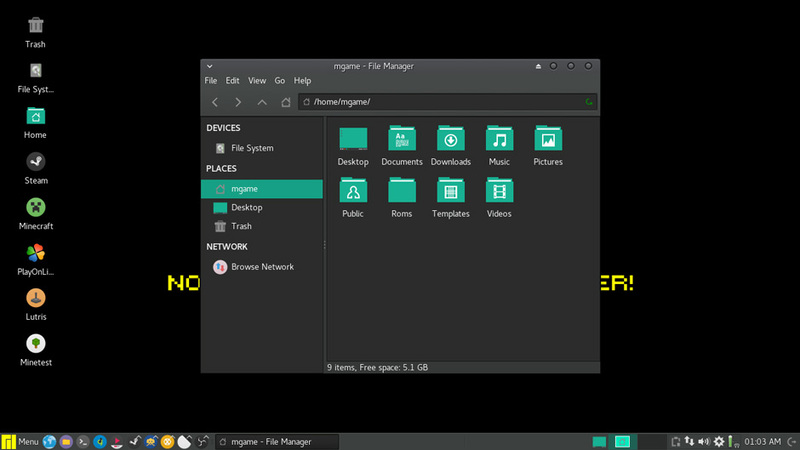 mGAMe, which is based on Manjaro, which is based on Arch Linux, is a rolling-release gaming distro with everything you need pre-installed. Steam, PlayOnLinux, Lutris, Minecraft, Editing Tools, and a bunch of other emulators are already installed. You can easily enable the “living room mode” in which case you won’t need a mouse – you can do everything with your controller or keyboard. If you don’t have enough hardware requirements to run Solus, but still need a rolling-release distro, go with mGAMe. Everything’s pre-installed and ready to play. Steam is not pre-installed, you’ll have to install it manually. A great, more lightweight rolling-release distro for gaming. Wanna turn any computer into a Linux gaming machine? 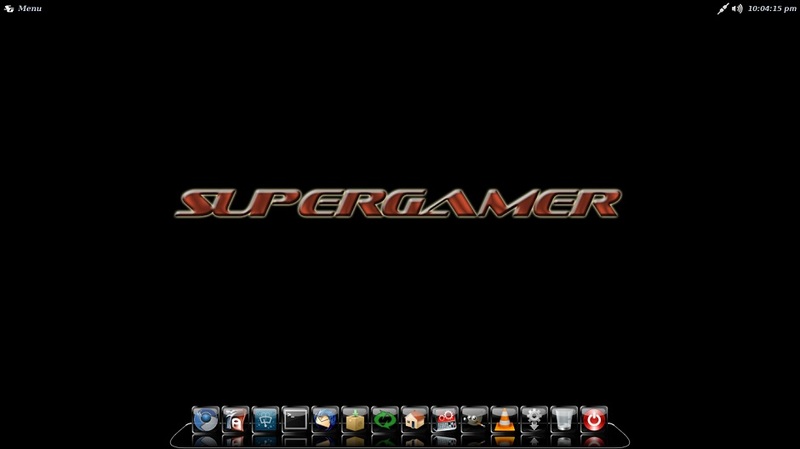 The new v4 of SuperGamer was recently released and no longer includes some open source games pre-installed, but you can easily install them, or install an app like Steam. The distro is optimized for gaming and ready to use via a live DVD/USB. It’s a great distro for testing out a machine. The distro is based on Ubuntu 16.04 and Linux Lite and only works with 64bit. Ready to use, no installation needed. 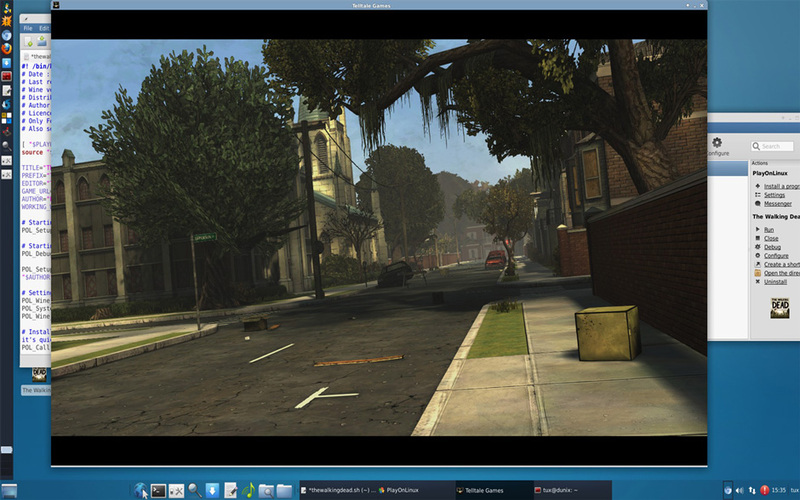 A live Linux gaming distro. Based on Ubuntu 18.04 and Linux Lite. Feeling nostalgic for the good old games? Play them without installing a distro. batocera.linux is another live Linux gaming distro similar to Lakka.tv that you can use for retro gaming. Easy to install, easy to set up, and comes pre-installed with everything you need. A great way to go back in time and play the good old retro games. A live Linux distro ready for retro gaming with an active community. Any supported CPU, at least 2.4GHz for some games. Ready to play retro games, no installation needed. 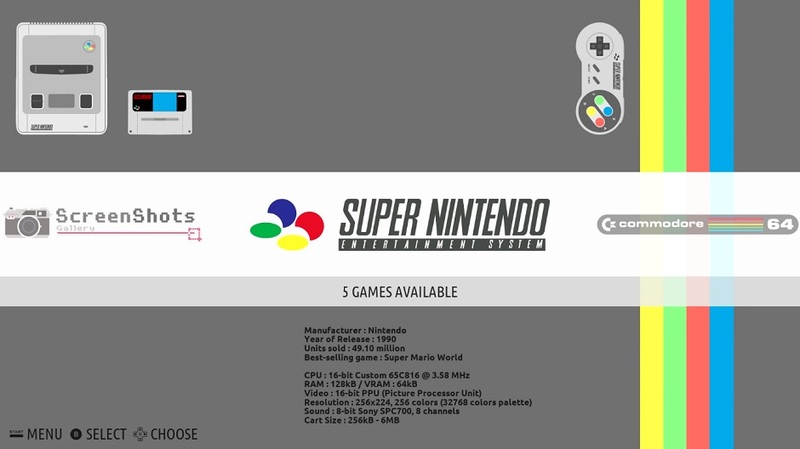 RetroArch – a frontend for emulators, game engines, and media players. Great for retro games and nano PCs. Which distro do you use? What kind of a Linux gaming setup do you have? Did we miss something? Leave a comment below! I really like Linux Mint. You mentioned Wine, Steam and PlayOnLinux but I think it’s important to know about Crossover as well because they actually created Wine. I couldn’t get Starcraft II and a few other games to run correctly but it did the job nicely. I almost got Planetside 2 running! I just dropped Mint after ~5 years. It seems that the Ubuntu based distros have a nasty habit of playing with video drivers. I’ve had to spend hours after (6?) upgrades over the past 5 years. They revert to open source and cause all sorts of problems. I run NVidea for my large monitor and Intel onboard for laptop monitor. Each of these six or more times, the config was swapped out even though I said no to changes. No hate here for Mint, just that I use Linux as my sole work OS and don’t have time to fix other people’s mistakes. You could dual-boot a second “GAMING OS” -makes sense when gaming, PARTICULARLY WORK- that ALSO IS LINUX. dang, no love for Solus? I know right? I would think that their work one the LSI (linux Steam Integration) would be enough to merit a mention here. About Stream OS or using big picture, you can add programs as if it where games, so adding some terminal, and or GUI for packet manager, you can add software to the system, and after it to the Steam library with the +. It is great to add Lutris, PlayoinLinux’s Steam and or directly some emulators plus Kodi, Firefox, Chrome/ium and some other software and be able to use it with a game controller. We’ve added mGAMe to the list. Thank you! Haha, I have new findings for you. Everybody is working with Microsoft. Have a look at Microsoft Store, you won’t find only Ubuntu there, you will find Fedora, Suse, Debian. They all are Microsoft puppets. Red Star OS is the best option. 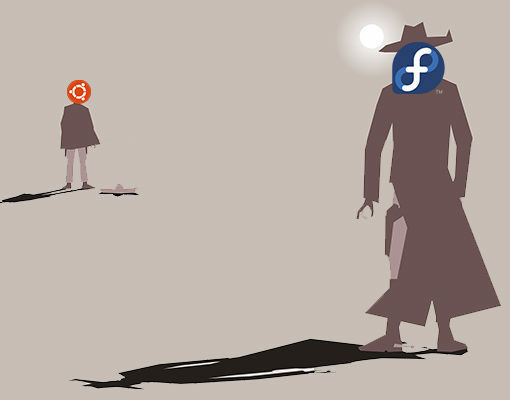 All Ubuntu forks fall off the edge if you still want all of your privacy since Canonical is working together with Microsoft. Maybe Linux Mint as a game bundle would be a great option?